"Our daughter is our strength and hope. She is the youngest in the family, but she motivates everyone”- Antima’s mother. She can say this because Antima has emerged a fighter in the midst of a lot of problems. Her mother is proud of her and so are her other family members." Our daughter is our strength and hope. She is the youngest in the family, but she motivates everyone”- Antima’s mother. She can say this because Antima has emerged a fighter in the midst of a lot of problems. Her mother is proud of her and so are her other family members. Antima had to drop out of school because her poor father was unable to repay a debt he had taken at the time of his eldest daughter’s marriage. Antima had just completed her standard 10th examination and her father could not support her education with an income of just rupees 3000. Antima was a bright student but she also understood her father’s problems. Even though she had to discontinue her schooling Antima found a way out to do something and enrolled herself in the STeP program at the nearest centre and got herself trained in soft skills and English communication, personality development etc. within six months Antima was ready to take up jobs and she got placed as a private tutor in a coaching institute. She now earns rupees 10,000 per month and is also keen on completing her studies through open learning. Antima’s hard work inspires many including her brother who also has joined the STeP program after completing his Class 12th exams. "Bringing smiles to the lives to the lives of a lot of people Smile Twin e-Learning program has also brought light and happiness to Jyoti and her family’s lives. 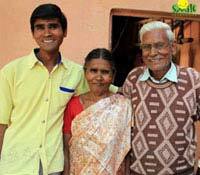 With the help of the training provided by STeP Jyoti is now able to help in the household expenses." Bringing smiles to the lives to the lives of a lot of people Smile Twin e-Learning program has also brought light and happiness to Jyoti and her family’s lives. With the help of the training provided by STeP Jyoti is now able to help in the household expenses. Born to a poor vegetable seller Jyoti and her family had to struggle for survival most of the time with a family of eight. Even though Jyoti’s mother had a little education she could do little to help. The problems worsened after the sudden death of Jyoti’s father. Jyoti’s mother after much struggle got a job as a peon in a local office, but even then the problems did not cease to decrease. To bring a change in the economic situation of the family Jyoti’s mother encouraged her to join the STeP Program near their home at the local YMCA centre. After the completion of the course Jyoti got a job at a local electronic shop. She is now financially independent and contributes to the financial well being of the family. Due to this job of hers Jyoti’s younger siblings are able to go to school and Jyoti now is an independent woman ready to face any challenge that comes her way. The stories of struggle start almost the same way but not all stories end the same way. Kalpana’s is a story different from most stories of struggle. Kalpana was in the 10th standard when her mother expired, her father re-married and she had to drop out of school. All of these events happened in such quick succession that Kalpana could not even think how from a school going kid she suddenly became the one to manage the household and all its chores. But the zeal to study remained; she kept her books opened next to her when she was cooking so that she could complete her studies. During a door to door mobilization drive conducted by STeP, Kalpana came across the program and its benefits. She immediately enrolled in the course and began to attend the lectures regularly and in six months time she was trained in computer and management skills, language and other soft skills. Almost immediately she also got placed in a retail store with a starting salary of Rs 5500. Her father is proud of her that she earns more than him and is also getting her younger siblings educated on her own. Both Kalpana and her siblings have a bright future before them which will be a result of all the hard work they are putting now. Kanchan is a hard working and courageous girl who wanted to get a job so that the burden on her parents could be lessened. Her father worked as cloth cutter at a tailor’s and her mother joins her father whenever she can spare time. Both parents made sure that Kanchan and her younger brother and sister went to school instead of working like other children of the community. After completing her 12th standard examination she wanted to work but got rejected at all the interviews as she lacked soft and language skills. 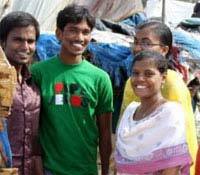 Still she was encouraged by her parents and then she joined Smile Twin e- Learning Program JSS at Dharavi, Mumbai. The course at the program covered English Communication, Retail Management, Basic Management, Computer Proficiency and Personality development. At the end of six months she cleared the course completion test and had more work options now as she could choose between places to work as she had cleared interviews at 2-3 places. Currently she holds a good job and earns enough to support her family comfortably. Both her parents are proud of her and she is also happy as she is now able to fulfill the dreams of her parents. "Today, I got my first job. Although I have many things on my mind, but I will be getting new clothes for every one with my first salary"
Nafees grew up in a family which struggled to make both ends meet every day. His father worked as a daily wage earner and it was a family of six he had to support; Nafees, his mother, a brother who was deaf since birth, another brother who lost his right leg in an accident and a sister who was of marriageable age. Even though Nafees had dreams of acquiring a degree which would help him get a job, financial conditions back home acted as a hurdle. Nafees joined STeP with high hopes and soon enough he was equipped with a better personality, good communication skills and technical knowledge. 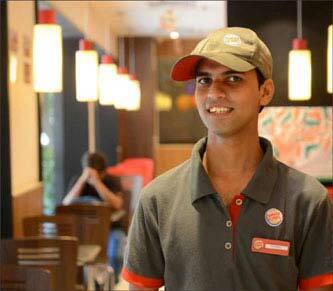 He was hired by Café Coffee Day after the completion of his course. 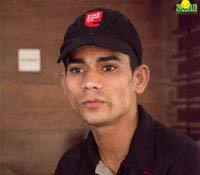 He now supports the family along with his father and aspires to do more to help his family. The only hope of his ailing parents Prakash had no option but to drop out from school because his sick father could not afford it anymore. His hopes were crushed but what could he do than take care of his parents. Prakash was the only son of his ailing parents and after his father’s savings got over the family had to struggle a lot to make both ends meet. Eventually Prakash had to drop out of school and search for a job. But soon he realized that taking up a job was not very easy, first of all people now-a –days demanded a lot of skills that Prakash did not possess. Things were getting difficult for him until he heard about Smile Foundation’s Smile Twin e- Learning Program. Prakash immediately enrolled himself and began to learn computer skills, spoken English, basic Marketing and soft skills and passed the course completion test with flying colors after 6 months. He now works as a computer operator at a printing press where he is well paid and respected. He is now able to bring home a decent salary but also smile and hope to his parents. His mother’s smile makes his day and Ranjith is working hard to keep it that way. Living in a slum at Shamirpet in Secundrabad, Telenganaq Ranjith’s father who works as a helper at a truck garage could barely make both ends meet. With five members in the family it was very hard to mange. Living in a slum at Shamirpet in Secundrabad, Telenganaq Ranjith’s father who works as a helper at a truck garage could barely make both ends meet. With five members in the family it was very hard to mange. Ranjith wanted to pursue higher studies after completing his schooling but the financial conditions of his family did not allow him to do so. 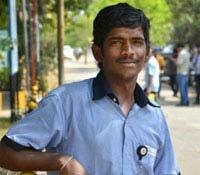 Ranjith began to search for jobs everywhere since now he had to contribute to the income of the family. But lack of skills required now-a-days to handle a job left him jobless and dejected. Ranjith’s case came to light during a community survey and he was enrolled for Smile Fopundation’s Smile Twin e-Learning Program at Arnunodaya Trust Centre in Secunderabad. The employability training provided at the centre helped him to enhance his communication, technical, marketing skills and he also regained his lost confidence. Rajnith acquired a job in the local news paper after his training and is very happy to be able to make a valuable contribution to his family’s financial well being. Mahesh’s father wore and re-wore the same two sets of clothes for years. The colours faded and stains from the auto rickshaw he drove for a living took their place. Shiv Kumar's father wore and re-wore the same two sets of clothes for years. The colours faded and stains from the auto rickshaw he drove for a living took their place. But his resolve to educate Mahesh did not fade away. Mahesh who had seen his father struggle round the year to feed the family did not study beyond the 12th standard and began looking for a job. But his lack of professional skills and proved to be a major hurdle in his pursuits. When Shiv accidentally came across Smile Foundation’s STeP programme he immediately enrolled for the course. Gradually his communication skills and computer skills improved and so did his confidence. His personality also developed and after the completion of his course he landed a job at the reputed multinational pharmaceutical company Dr. Reddy's Lab. Shiv can now help his father support the family. He hopes to work harder and take care of all the needs of his family. "We did not get the best of things in our childhood, neither my mom. She sacrificed a lot. Even today she does. It's time now I start paying back." His dream is to take his mother to Hajj and gift his mother a house of her own. We did not get the best of things in our childhood, neither my mom. She sacrificed a lot. Even today she does. It's time now I start paying back. His dream is to take his mother to Hajj and gift his mother a house of her own. This is now not a distant dream for Tauqeer Alam who recently got employed at the Burger King and is now earning to support his family. Born into a family of 9, which included his 3 brothers and 3 sisters, Tauqeer did not always get the best of things because the sole support of the family his father passed away when he was just 12. But his determined mother did not let Tauqeer earn and made him study. Tauqeer joined the STeP course provided by Smile Foundation and built his personality and technical skills the result of which made him confident. Tauqeer is on the way to fulfil his dreams and his mother’s dream soon. Yusuf is an extraordinary boy. He is currently studying B. Com, he works as a Vodafone promoter at the Vodafone Mini Store, single handedly takes care of his family and his sick father. Also he sends hid younger siblings to school with his earning. Yusuf father suffers from an illness which does not allow him to work and as a result Yusuf had to shoulder the responsibility of the family from a very young age. At first he started to take tuitions to earn but that was not enough. He learned about STeP program from his friends when he appeared for his class 12th examination. He enrolled immediately in the JSS Centre at Dharavi, Mumbai. 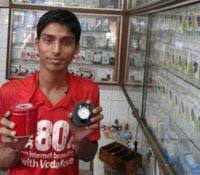 A quick an eager learner Yusuf got placed in the Vodafone Mini Store immediately after completion of the course. He has been awarded for boosting the sales of the company at the store and has also won in elocution at his college for which he credits his teachers at STeP. Opportunities should be equal and just for all, be it a girl child or a boy. Javeriya’s parents proved it right by giving her chance to give her a shot to have a career, be independent and self sufficient. Javeriya lives with her parents and siblings in an overcrowded slum in Mumbai. Her father is the only bread earner in the family and it sometimes became difficult for him to make both ends meet. As a result of financial crisis Javeriya could not continue her studies beyond high school. She wanted to work to help her father but her parents refused to let her go out and work. Her parents’ refusal saddened her and she had no other option then agree with them. She began helping her mother with the household chores. But opportunities always find those who want to do something in their lives. Opportunity knocked once again and this time it was in the form of Smile Twin e-Learning Program, an initiative of Smile Foundation to improve the employability skills of the youth who have either dropped out of school or lack skills required to get employed. Javeriya convinced her parents to visit the nearest STeP centre Prayog in Kamathipura. The trainers explained to her parents about the course and it’s benefits and the employment opportunities she would get upon completion of the course. 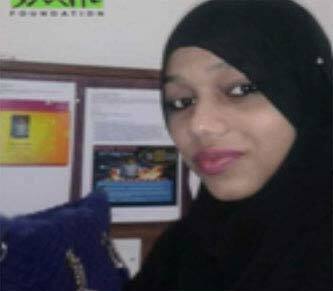 Javeriya’s parents decided to give their daughter a chance and she enrolled to the course. During the course Javeriya developed her communication skills as well as other skills such as proficiency in spoken English, management skills and personality development. Upon completion of the course she emerged a strong, confident woman ready to handle any kind of job. Javeriya got selected at the very first interview she appeared for Axis Bank and now works as Business Executive drawing a decent salary. Javeriya’s parents are very proud of her and she has also set an example for other girls to venture out and explore the possibilities and looking at the confidence of Javeriya’s parents other parents are also slowly opening up to the prospect of sending their daughters to the STeP centre and get ready to be strong and independent. Fighting with financial difficulties Kalpana found a way out to be of some help to her family by joining in the STeP program near her home. Kalpana had to drop out of school after completing her 10th standard as her father no longer could bear the expense of her studies. Kalpana had to drop out of school after completing her 10th standard as her father no longer could bear the expense of her studies. She did not complain but with greater determination enrolled in the Smile Twin e- Learning Program in Hyderabad. Ever hardworking Kalpana worked hard during the course to hone her computer and language skills. Her patience and hard work bore fruits when she got employed as a computer operator and began earning a good salary. She is proud of herself and so are her father, mother, grandmother and siblings of her achievements.